Anyone who has ever moved house knows how stressful it can be. A big part of that stress is the time it takes to find a good removal company at a decent price. How do you know you’re getting value for money? How do you know the company will do a good job? When comparing different removal companies, the following key questions will give you the answers you need and make your choice far easier. Fly-by-night man and van movers offer cheap prices, but little else. After all, it’s easy for someone to borrow a friend’s van and set themselves up as a removal company. Ask how long the company has been around. The longer that is, the better the chance they know what they’re doing. That said, professional and skilled companies do spring up all the time. Even if a company hasn’t been trading long, a professional looking website shows you they’re more serious about their reputation. Check for contact details on the site, especially a physical address. Any good company will have a ton of happy customers they’ve moved. Ask to speak to a couple of customers from within the last three months. All good, reputable removal companies recommend that people do this. So don’t be shy. Pick up the phone and see how good that company really is. If they can’t – or won’t – give you any details, forget about them and move on to the next. Although the UK removals industry is not regulated, there are a number of industry bodies that exist to spread best practice. The British Association of Removers (BAR) is the biggest fish. It’s been around since 1900 and has a strict code of practice that its members have to follow. The organisation carries out regular audits to ensure their standards are being followed. As well as the BAR, there’s also the Alliance of Independent Movers (AIM). And for international moves, look out for the Federation of European Movers Associations (FEDEMAC) or FIDI (Fédération Internationale des Déménageurs Internationaux). Industry accreditations alone are no guarantee of better service. But any company that is a member of two or more of these bodies is serious about good customer service. You can find the relevant logos on the removal company’s website. If in any doubt, do a search for that removal company on industry bodies’ websites too, as companies do occasionally claim membership that they’re not entitled to. Any good removal company should have public liability insurance and goods in transit insurance. You’ll want to check the value of their goods in transit insurance, in the event that any of your belongings are damaged during the move. Smaller companies may have insurance that covers damages of £15,000 all the way up to £2 million. Larger companies will usually be covered for even more. If you have anything valuable to move, you’ll want to check their insurance is enough to cover you. According to the vast majority of home removal companies, keys are NEVER handed over on time. Most morning handovers tend to drag on and on and on and… you’ll finally get the keys that afternoon. Some companies charge a waiting fee, but many others do not. Removal companies cite this single factor as the number one cause of stress on moving day. So be sure to ask. Yes, you might want to economise. And packing your goods yourself is one obvious way to do this. However, if you pack yourself then you’re less likely to be covered by your removal company’s goods in transit insurance. This is because the company needs to know what condition your belongings were in before being packed and moved. If they don’t, then your item may have been damaged before they even got there. Your chance of an insurance payout from them in these circumstances is pretty much zero. Everyone wants to move at the same time, and that drives removal companies mad with frustration. The flipside of this is that there are times when they are less busy and you’re more likely to get them to agree a discount. Avoid moving in June to August if at all possible. That’s when prices are highest. January and February tend to be cheapest. Many companies will offer lower rates in the winter as standard. Even then, ask which days they’re least busy, and then see if you can negotiate an even lower price. Most removal companies will go for it just to get the work. And, as mentioned in point 6, remember to ask if they’ll do a deal on packing for you as well. You’ll be pleasantly surprised how much you could save just by knowing the right questions to ask! 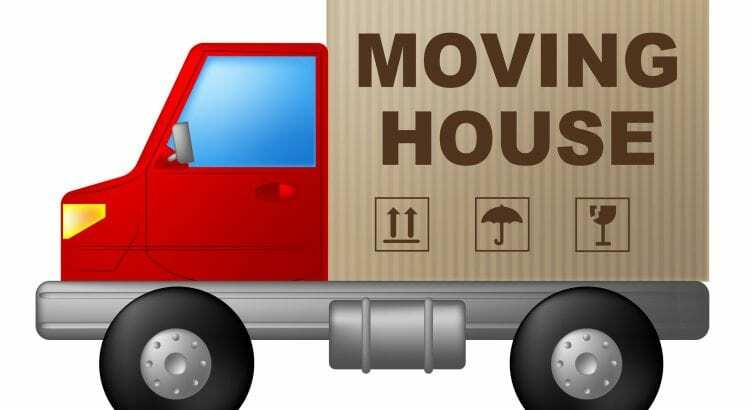 Founded in 2013, buzzmove.com is a comparison site for home and office moves that allows customers to compare fully-insured and trusted removal companies in one place. Could You Clear Some Space For A Lodger?